Join us for a debate with Vice-President Frans Timmermans, Sylvie Guillaume MEP and Dennis de Jong MEP, but pre-registration essential! With little fanfare, Westminster’s official Register of Consultant Lobbyists has launched. But is it worth much? We hope that you will join us in Brussels for two days of discussion, skills-sharing and learning from colleagues about effective campaigning. This will be a great opportunity to get up to speed on our brand new campaign to demand greater lobby transparency at the EU and member state levels. Importantly we will be launching our new campaign with a high-profile event in the European Parliament, featuring senior representatives from the European Commission, Parliament and Council, as well as from the ALTER-EU network. 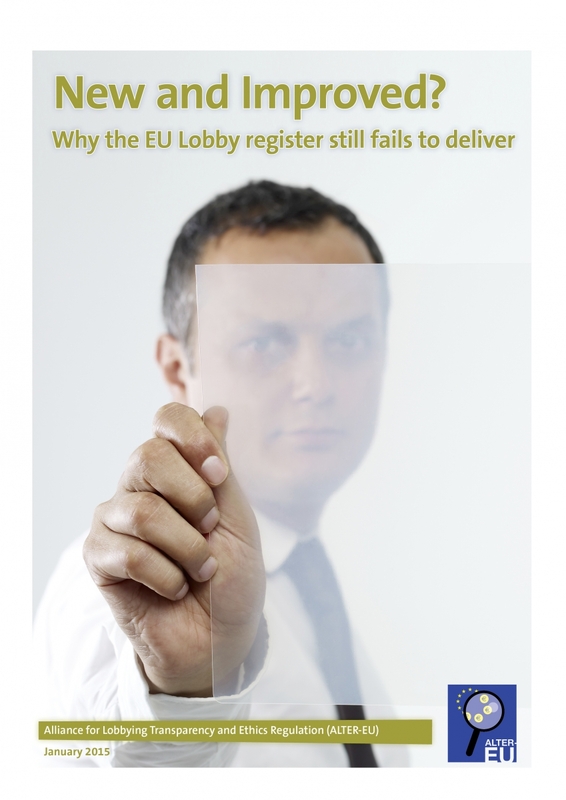 New ALTER-EU report shows why the current EU lobby register is still failing to deliver real transparency. NGOs file complaint about misleading Goldman Sachs registration.